Key programming on the Fiat range of vehicles gives huge opportunities for Autolocksmiths and key programmers, enabling them to offer an outstanding service and maximise their income. The Fiat protocol uses a Precoded transponder, therefore ordering new keys and remotes from a dealer requires the key/remote to be ordered from Italy. This often takes 7 to 10 days and can cost up to £300 for a remote key. 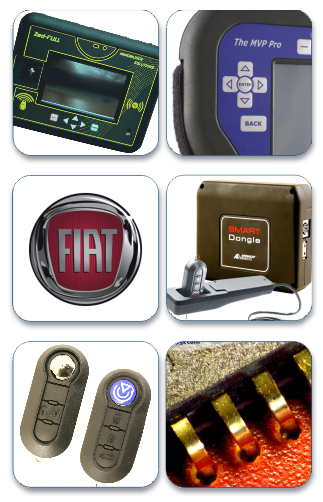 The training covers pincode reading, transponder precode reading, remote emulating and key programming on the full range of Fiat vehicles, enabling you to create a fully working remote key without the need to order keys / remotes, and enabling you to complete the work immediately by the roadside. Anyone who uses Advanced Diagnostics (MVPPRO / AD100PRO) and/or IEA (Zed-FULL) key programming equipment and wants to maximise their opportunities with Fiat key & remote programming.